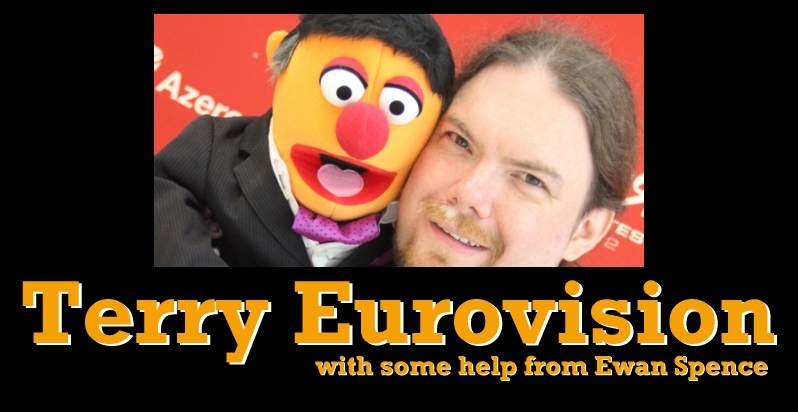 In all the rush of Eurovision 2012 there’s one final video interview… with Eurovision Event Supervisor Sietse Bakker. The Spanish singer has caught the hearts and minds of Eurovision fans from all over Europe. The public chose this song for Spain, and Pastora is happy with their choice. And with Terry’s company. Italy’s Nina Zilli is in the Eurovision Song Contest to win it – even if that means RAI might have an issue with budgeting for next year’s event. The old sparring partners, reunited once more thanks to the Eurovision Song Contest. Radio 2′s Ken Bruce and ESC Insight’s Terry Vision talk commentary, breadcrumbs, baileys, and where The Hump will finish in the Grand Final. Covering the semi finals was something I left to my good friend Paddy O’Connell… but how are the young upstarts of Scott Mills and Sara Cox coping with the pressure of the Eurobooth, and did Coxy really push Norton down the stairs at the BAFTA’s? Lets finds out. High up in the Crystal Hall, as RTE Commentator Marty Whelan steps out of his booth, I catch up with Ireland’s voice of Eurovisio… Where’s my traditional glass of Baileys?